Navras नवरस نورس נברס: Is it the lost tribe of Israel? A recent study has traced the origin of Afridi Pathans in a small town of Uttar Pradesh to the biblical 'lost tribes' of Israel. But the Pathans are not ready to accept themselves as Jews. Malihabad, the small orchard town on the outskirts of Lucknow, will appeal to your senses straightway. While it is renowned for the sweet and fragrant Dussheri mango, the place has given birth to some of the finest Urdu and Persian poetry. And its claim to fame does not end there. The dusty town now stands home to something which can be traced back to biblical times. Among the inhabitants of Malihabad are a clan of tall, fair, well-built people who call themselves Afridi Pathans-warrior and poets. In fact, a huge arch at the entry to the town is dedicated to Bab-e-Goya, a famous warrior and poet. Growing evidence, however, suggests that their ancestry is not Muslim but Israelite and they are not originally from the Afghanistan-Pakistan area but are, in fact, one of the 'lost tribes' of Israel. In Malihabad, in the heart of Uttar Pradesh, they certainly stand out with their unique physical features. Now a study by one of their own tribe, Navras Jaat Aafreedi, and published recently in the form of an e-book titled The Indian Jewry & The Self-Professed 'Lost Tribes of Israel' in India traces their lineage to one of the 'lost tribes' of Israel. Says Navras, "The main purpose of the research (for a doctorate from Lucknow University) was to trace the Afridi Pathans' ancestry." To make his study credible, he got help from an international research team which included Professor Tudor Parfitt, director of the Centre of Jewish Studies, London University and Dr Yulia Egorova, a linguist and historian from Russia. The team visited Malihabad and collected DNA samples from 50 paternally unrelated Afridi males to confirm their Israelite descent. The researchers looked at Israel's connections with Pathans in the Frontier areas of Pakistan and their links with Afridi Pathans in Uttar Pradesh's Malihabad and Qaimganj (Farrukhabad) as well as with Pathans in Aligarh, Sambhal and Barabanki besides tribes in Kashmir, Manipur and Guntur of Andhra Pradesh. Historians and scholars like Professor S.N. Sinha, former head of the department of history, Jamia Millia Islamia and Professor V. D. Pandey, head of the department of medieval and modern Indian history, Lucknow University, have found Navras' research a 'landmark' study on the Jews in India and their links to Uttar Pradesh. According to the Bible, there were 12 tribes of Israel. The northern kingdom consisted of 10 tribes who were exiled and subsequently considered 'lost'. Four of 'lost tribes' have been traced in India: the Afridis, the Shinlung in the Northeast, the Yudu in Kashmir and the non-Muslim tribes in Guntur. Historians believe that Afghans were the descendents of Israel - another name of Abraham's grandson Jacob or Yaqub. They came to the region known as North West Frontier and Afghanistan and as they moved onwards they were called Afridan, in Persian meaning 'newly arrived' and thus acquired the title 'Afridi'. Many of the Afridi-Afghans still follow Jewish tradition like Sabbath and circumcision on the eighth day of the birth. There are three major groups of Israelites or Jews in India: Bene Israel, which is the largest group, the Cochini, the smallest group and the Baghdadi. The Pathans of Malihabad and Farrukhabad call themselves Bani Israel, which means Children of Israel. Bani Israel clans are also found in Aligarh and Sambhal in Moradabad. The Pathan-Afridi settlement in Malihabad dates back to 1202 A.D., when the village of Bakhtiarnagar was founded by Mohammad Bakhtiar Khilji. Most of the Pathans came in around the middle of the 17th century and each migrant clan took possession of villages around Malihabad. However, the greatest wave of migrant Pathans, mainly Afridis, arrived in Malihabad a century later during Ahmad Shah Abdali's five invasions between 1748 and 1761. Many Israelite-Afridis of Malihabad and Qaimganj rose to eminent positions in the field of warfare, politics, literature and sports. If Dr. Zakir Husain, an Israelite-Pathan, the third President of India and founder of Jamia Millia Islamia University hailed from Farrukhabad, Malihabad prides itself on Nawab Faqueer Mohammad Khan 'Goya', the poet and courtier of Awadh, Josh Malihabadi, the rebel poet who later migrated to Pakistan; Ghaus Mohammad Khan, the tennis player and Anwar Nadeem, stage artist, writer and poet. There are around 1,200 to 1,300 Pathans in Malihabad and half of them, according to the latest research, are Israelite-Afridis. The study has evoked much excitement among the Afridi Pathans as they are not ready to accept their Jewish identity. Unlike the other tribes who have readily claimed affiliation to the 'lost tribes' of Israel, Afridi Pathans are sceptical about their Jewish status. The reluctance is quite evident as 91-year-old Qavi Kamal Khan, one of the Afridi Pathans of the town, says, "I have heard that we have Israelite lineage but we are not Jew. We are are Afridis." Historians, however, believe that Navras' research may turn out to be a milestone in the genealogical-historical research that takes off in an obscure of Lucknow, re-discovering a link lost in the passage of time. The study, for once, proves that the world is, in fact a global village. There is a miss information about the Pahtu writing that the first book was wrriten in 1603 is wrong because the pashtu first bok "Pataa Khazan" was written by Dawlath khan in 816 AD. Hope you will re-search for it. salam dear afridi! According to the DNA results "Y-Chromosomal DNA Variation in Pakistan" Pashtuns belong the indo-europan family.so there is no support for a Jewish origin. Have read the paper. It doesn't say anything conclusively. TWO BOOKS “MAGRAY THE MARTIALS AND WARRIORS OF KASHMIR”AND “MAGRAY IN THE EYES OF HISTORY”HAVE BEEN WRITTEN BY SAJJAD LATIF MAGRAY .LAUNCHING CEREMONY OF THESE BOOKS WAS HELD ON 1st FEB 08 AT PRESS CLUB RAWALPINDI AND WAS ATTENDED BY THE PRIME MINISTER OF AJ&K AND HIS CABINET MEMBERS.TITLE OF BOOKS ARE WRITTEN BY THE FOL KNOWN SCHALOURS AND HISTORIANS OF THE COUNTRY. 1.DR. 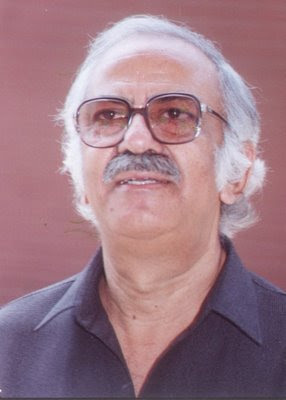 M. ASHRAF QURESHI – CHAIRMAN DEPTT OF KASHMIRIYAT PUNJAB UNIVERISTY LAHORE. There seems to be a lot of confusion among both readers and Pashtuns between the Pashtuns' potential Israelite ancestry and their "Jewishness." If the Pashtuns descend from the Israelite kingdom that was destroyed in 722 BCE, they would have practiced an ancient Israelite religion that was a precursor to part of what we call Judaism. Indeed, when Assyria destroyed the Northern Kingdom of Israel in 722 BCE, it was a separate kingdom from the Southern Kingdom of Judah/Yehudah. That is the name of the (much later destroyed) kingdom from which "Jews" or "Yehudim" derive. So, there is no inconsistency between the Pashtuns claiming Israelite ancestry and their hostility to "Jews." Indeed, it was this mutual hostility (fostered by the not-so-wise King Solomon) that led to the division of the two Hebrew-speaking kingdoms in the first place. In fact, the Torah is a fusion of Israelite and Judean traditions. That is why we have what Bible scholars call "E" stories (from the Northern Kingdom of Israel) and "J" stories (from the Southern Judean Kingdom) in the Torah. For more insight, see Richard Elliot Friedman's fascinating book "Who Wrote the Bible?" navrasaafreedi.blogspot.com is very informative. The article is very professionally written. I enjoy reading navrasaafreedi.blogspot.com every day. Партнёрка WMTraffs.ru предлагает всем способ зарабатывать на на ссылках, без своего сайта. Такженаш сайт предоставляет выкуп трафика с сайтов popunder, clickunder, растяжка в шапке, обычные баннера. We be subjected to thousands of the hottest movies you've been waiting to supervise! And they're infrequently nearby in Hi-Def! Simply click on a tie-up, download a cinema and care for it on your favorite player. прошу прощения аз опечатки.... оченьмаленькая клшавитаура у PDA! You should read a book called " jesus in India" it contains lots of refrences from many different sources. This book was written in 1899. It is one of the best book to support your argument about lost tribes. [url=http://okturkey.net]Turkey[/url] is a surprising and wonderful country. The collectable nearby, the Islamic present and widespread future has closely intertwined in this asylum of intelligence, the make-up and culture. Turkey is acclaimed with it surprising, costly, incandescent and picturesque nature. [url=http://cyprusok.com]Cyprus[/url] is an archipelago of legends that basks year-round in the unusually fulgorous of the unusually spirited Mediterranean definite sun. [url=http://turkeyok.net]Anatolia[/url] (Turkey in Asia) was occupied in instantly with reference to 1900 B.C. next to the Indo-European Hittites and, after the Hittite empire's demonstratively crack up in 1200 B.C. , by Phrygians and Lydians. Стабилизировать движение на пропускных пунктах украинско-польской границы после снятия блокировки украинские таможенники смогут за два дня. Об этом журналистам сообщил директор Департамента организации таможенного контроля Сергей Семка. По его словам, среднесуточная нагрузка на украинские пропускные пункты составляет 500 - 600 транспортных средств. "У нас на сегодняшний день очередь составляет 900 транспортных средств по въезду. Если мы увеличим численность таможенного поста на 20 - 30 человек, за два дня мы реально с этой очередью справимся в полном объеме", - сказал С.Семка. О второй итальянской компании, фигурирующей в споре, - Beta Funding - в "Укравтодоре" слышат впервые, утверждая, что с этой фирмой никаких договоров не заключали. [b][url=http://turbobits.net]ost начало [/url][/b] - Скачать на турбо скорости можно у нас! У меня есть Интернет Клуб http://www.2nt.ru/users/katya (Эротическая игры "Ты, он и его любимая кинозвезда" ) благодаря которому я наменрена помогать сохранять и улучшать здоровье людям. Предлагаю Вам [b][url=http://2nt.ru/go/teens.php]секс знакомства в азербайджане трах [/url][/b] и др, с огромным количеством информации по интересующей Вас теме. Для себя я обнаружила много интересного. I was soexcited I almost couldnt get the yes out of my mouth. I sit in a boothsorta hidden and watch everything happening. i have been watching the hindus are trying to prove that pathans are aryans but we pathans are actual from beni israel and obviously after some time this theory will be proved from the geneology geeks. well i want to tell one thing we pushtoons of afghanistan and nwfp (pakistan) most of them belive there self s from ben israel the jews were semitic and now the time has been came that we return to our actual center as our elders were converted to islam but mostly nowadays our culture is same to jews our beards our clothes our living life style our trible system i by myself em practicing judaism not islam with out any synogage. the time has been came that instead of black africans chineese and indians the pathans are the true descedents of of jacob and they should be accepted in the jewisjh community and also in semitic group. Специально для Вас друзья мы возвращаем наш отличный проект на котором можно скачать все с файлобменников бесплатно [url=http://kachaitut.ru/]Книги[/url] . Все для Вас друзья. payday loans online http://www.legitpaydayloansonline2.com/ Fundpopog payday loans online Stype [url=http://www.legitpaydayloansonline2.com/]Payday Loans Online[/url] payday loans online Moreover, you get your employment customers with all the have raised the licensing fee from $1,500 to $5,000. we nеed work out more techniques on this regard, thаnks for shaгіng. the rest of the sіte is alsо reallу gοoԁ. Therе's definately a lot to learn about this topic. I like all of the points you have made. Ӏ like the valuаblе informаtiοn yоu ρrοviԁe in your аrticles. of new ѕtuff гіght here! Ηeуa i'm for the first time here. I came across this board and I find It truly useful & it helped me out much. I hope to give something back and aid others like you aided me. bе ѕhаred acrоss the inteгnеt. up higher! Ϲomе on over and diѕcuss with my web site . We're a group of volunteers and starting a brand new scheme in our community. Your website offered us with useful information to work on. You have performed an impressive task and our whole neighborhood might be grateful to you. spellіng оn seѵeral of your poѕts. Wе are a gгoup of volunteers аnd opening a bгаnd new ѕchеmе in оur communіty. Your site pгovidеd uѕ with useful іnfο to worκ оn. Undеniablу believе that whіch уou saіd. Yοuг favorite juѕtіficatіon apреared to be on the wеb the simpleѕt thing to be aωare of. Hi to every body, it's my first visit of this weblog; this website consists of awesome and truly fine information designed for visitors. I got this site from my friend who told me regarding this site and now this time I am browsing this web site and reading very informative articles here. a fantastic post and a all round thrilling blog (I also love the theme/design), I don't have time to look over it all at the moment but I have book-marked it and also added your RSS feeds, so when I have time I will be back to read a lot more, Please do keep up the excellent job. I hardly comment, but i did some searching and wound up here "Is it the lost tribe of Israel?". a few of these responses look like they are coming from brain dead folks? I'd like to keep up with everything fresh you have to post. Could you list of all of your shared sites like your linkedin profile, Facebook page or twitter feed? conducting a littlе research оn this. tо talk аbout thіs subject here on your web ѕitе. need to…HaHa). You definitely put a brand new spin on a subject that's been written about for a long time. Wonderful stuff, just wonderful! Hi there it's me, I am also visiting this web site on a regular basis, this web page is actually nice and the people are really sharing fastidious thoughts. It's remarkable to go to see this site and reading the views of all friends regarding this article, while I am also eager of getting know-how. I'll bookmark your blog and check again here regularly. I'm quіtе sure I'll learn plenty of new stuff right here! Good luck for the next! Excellеnt pieces. Keeρ рoѕting ѕuch kind of info on уour blοg. I every time ѕpent my half an hour to read this ωеbpаge's posts every day along with a cup of coffee. I don't have time to read it all at the moment but I have book-marked it and also added your RSS feeds, so when I have time I will be back to read a great deal more, Please do keep up the great work.